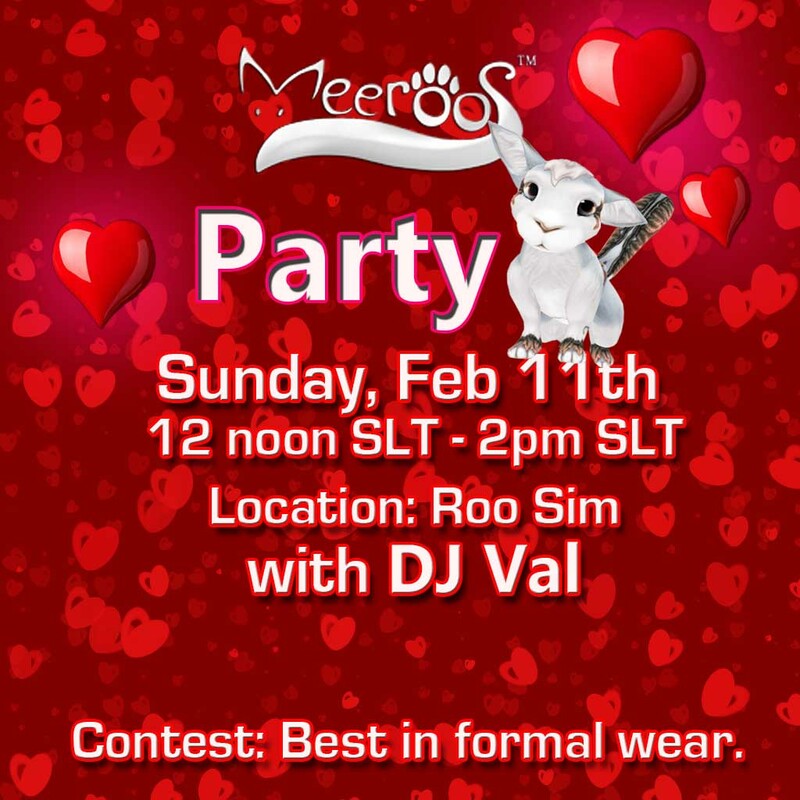 It's time to get on that formal wear and dance the afternoon away on roo sim for our formal Valentine's day Ball! Contest for best in formal wear! 10K split prize! And we are so excited to welcome our guest DJ for the event! DJ Val! Read more about VALENTINE'S DAY BALL! Orlex was surprised they had made it so fast. It was one thing to teleport, but to be carried by the wind, this was one ride he would not soon forget. 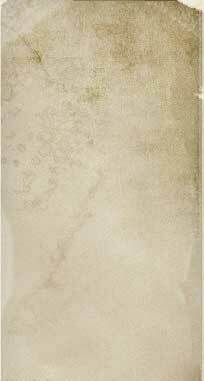 As she had promised, The Matron of Wind had deposited him right where he asked, in the center of the islands at the base of Kohala. Make sure to set the date and come party with us! 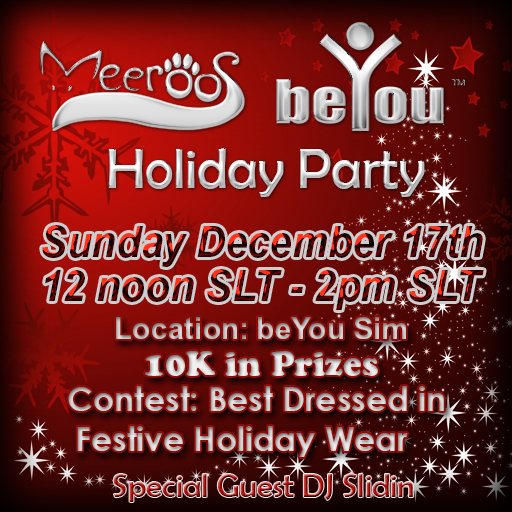 Sunday, December 17th 12noon - 2pm SLT. Best dressed in Festive Holiday wear contest! 10k Split Prize! Goodies too! 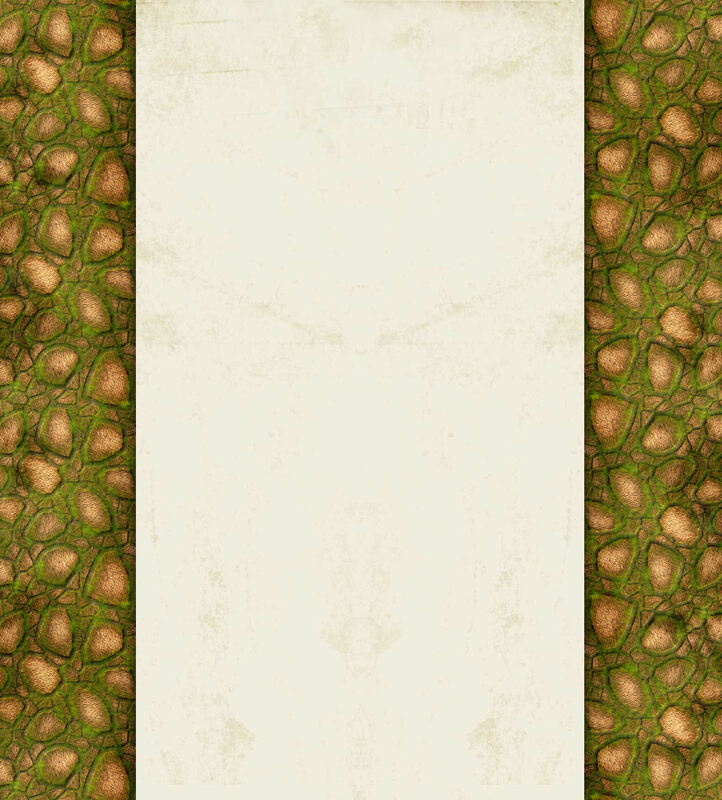 Don't forget to check out Roo sim for new yummies for your Roos! Read more about HOLIDAY PARTY!! 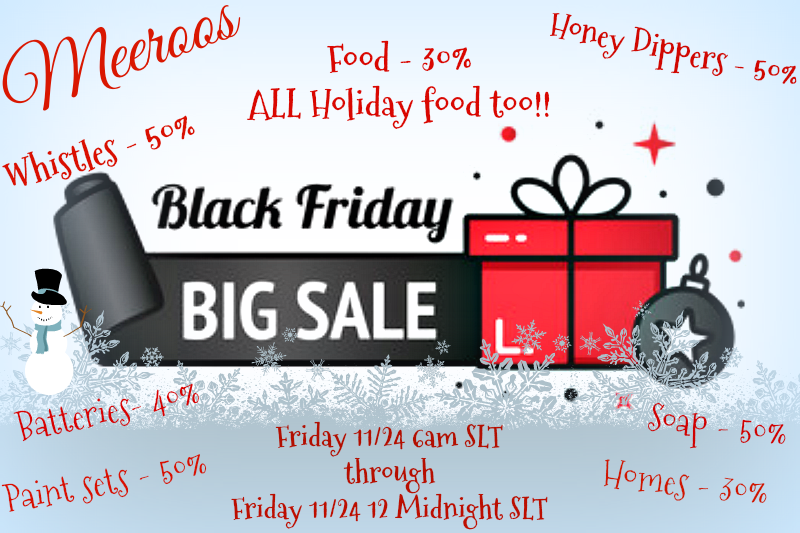 ** FRIDAY 11/24 6 AM SLT - FRIDAY 11/24 12 MIDNIGHT SLT! Come down to Roo sim and stock up on all the goodies! As a special surprise, we've put ALL our past Holiday food on sale too! So, come get your favorite food discounted only for today! Read more about BLACK FRIDAY SALE! 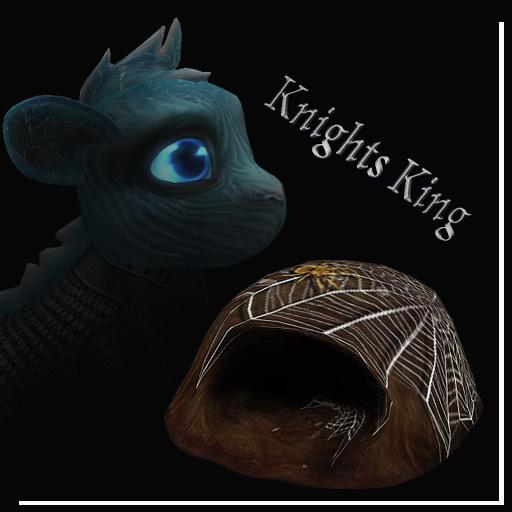 CONGRATS TO ALL THOSE WHO HAVE COMPLETED THE GAME AND HAVE RECEIVED ONE or MORE GOG NESTS! THOSE OF YOU WHO HAVEN'T GOTTEN YOUR GOG NEST YET, DON'T FEAR, YOU STILL HAVE A CHANCE, AS GAMES WILL RUN UNTIL OCTOBER 31ST MIDNIGHT SLT. The time has come, the spirits are restless. You can hear the sounds of the night, see the horrors the season has brought upon us. Be careful where you tread, keep your eyes wide open as there is much around you to be found and fear. Halloween Game of Graves Meeroos / beYou Game. 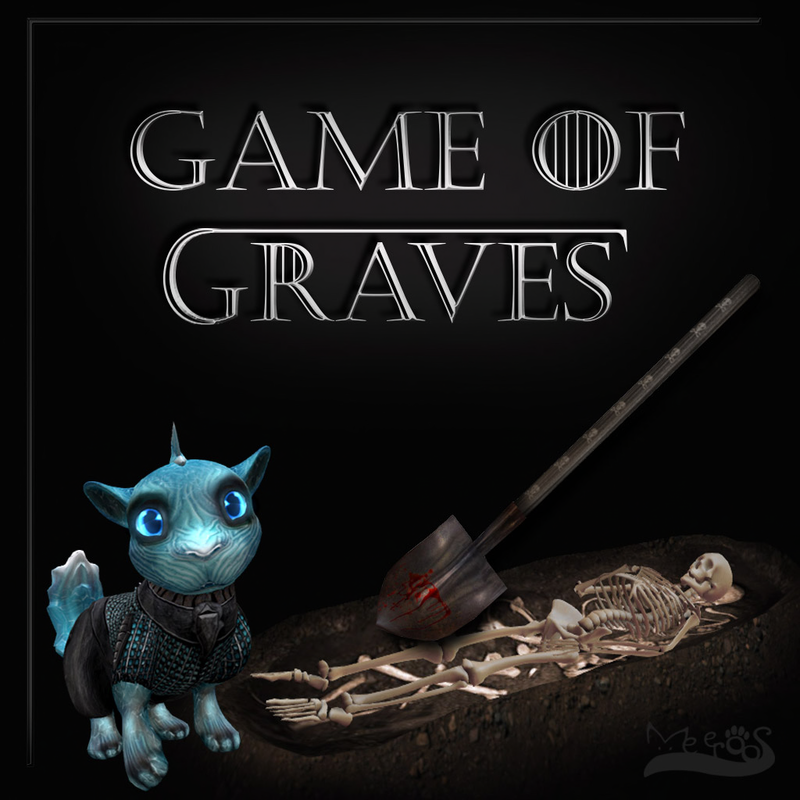 Read more about Game of Graves! The moon rose between the ominous peeks of a towering mountain range. A single path twisted its way through the snow covered knolls, dead grass waving in the silent wind like dancing omens. Upon the trail a shimmering figure walked alone, each footstep echoing in suspense, her stride purposeful. 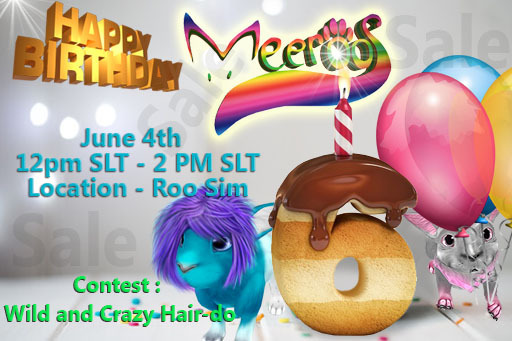 Mark your calendars for June 4 from 12 noon SLT till 2 PM SLT to come to ROO and help us all celebrate Meeroos 6th Birthday !! 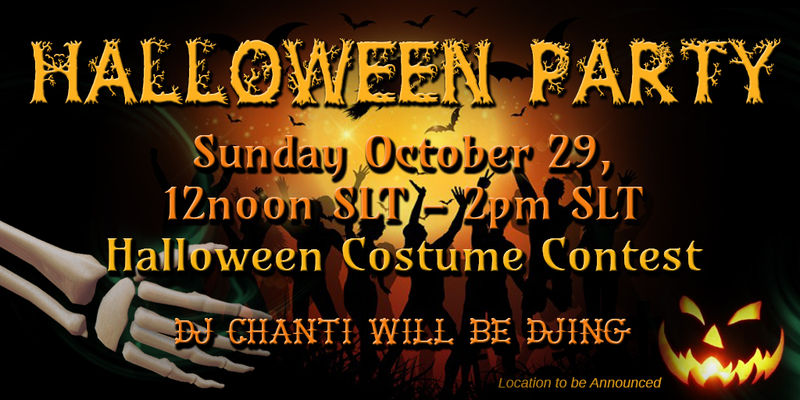 DJChanti will be spinning the tunes and there will be lots of dancing and fun times !! Never know if there will be a surprise or not, so make sure you attend !! !